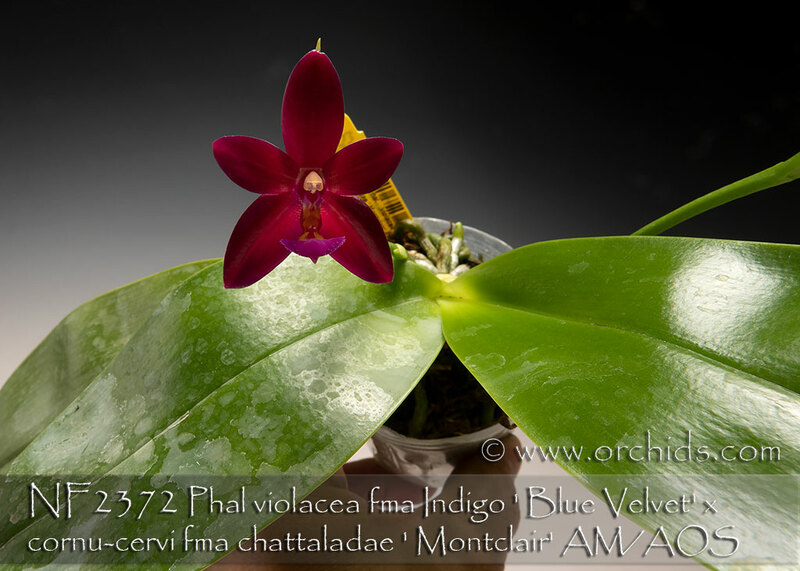 Excitement is building for this new remake of Phal Valentinii ! 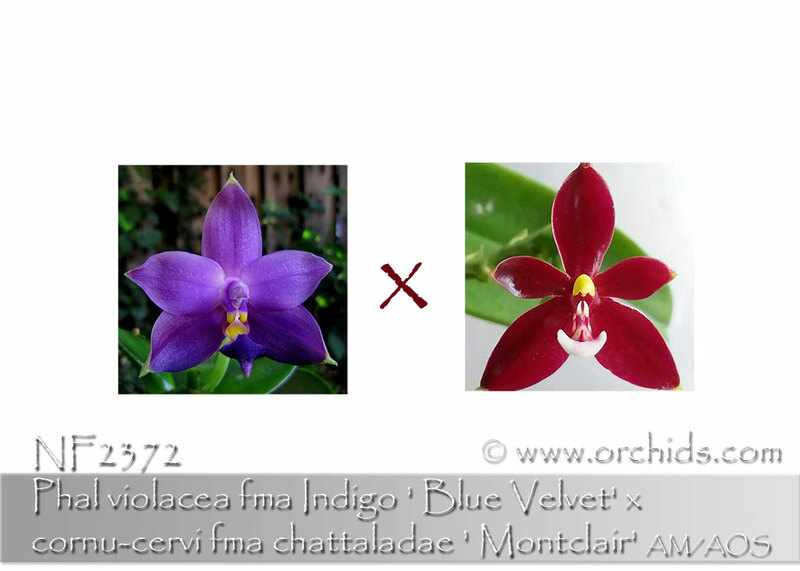 Two new forms of its species parentage have been used, and we’re expecting to see some vivid colors from its progeny as a result of the intense blue of ‘Blue Velvet’ combined with the red ‘Montclair’ form of Phal. cornu-cervi fma. 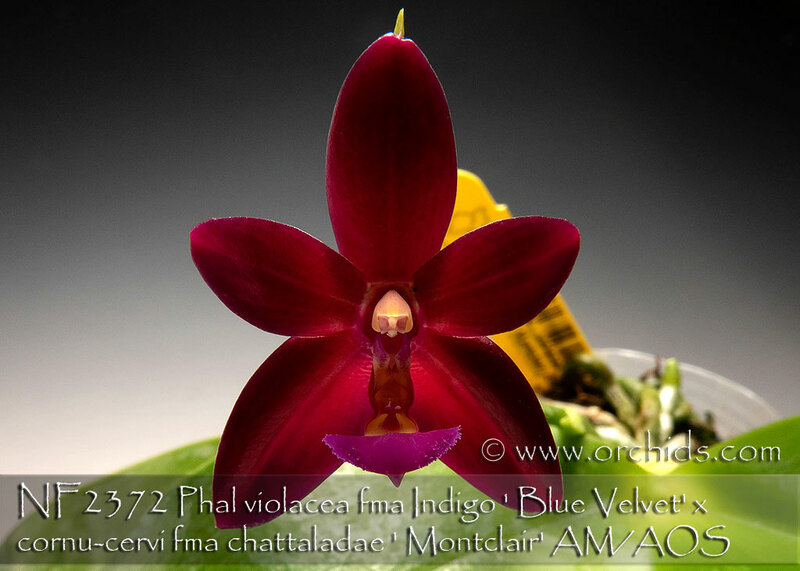 chattaladae. 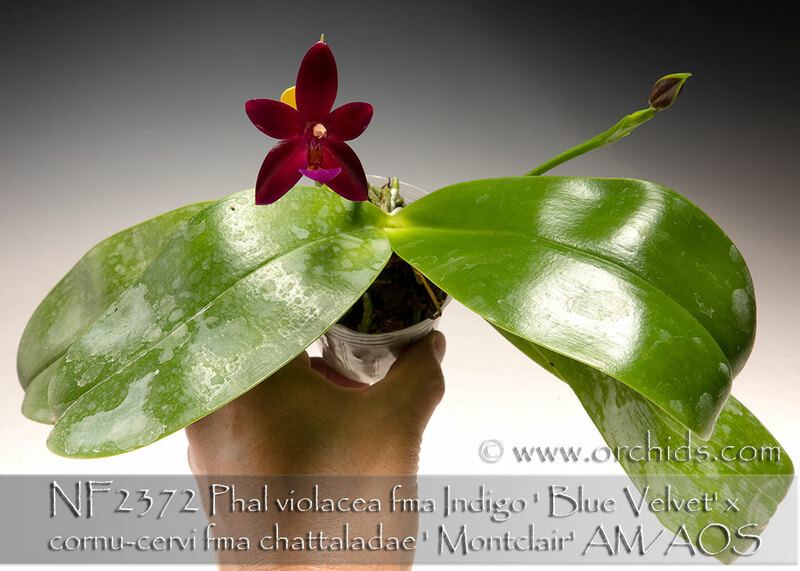 And it goes without saying that it carries a wonderful cinnamon candy fragrance. This has been a vigorous grower for the type and is already producing 1-2 spikes on husky first bloomers. Very Highly Recommended !